It’s true. I can make over $1k in a single day (often much more) without one new blog post. In fact, I average only one new blog post a week, but that’s average. Some weeks I don’t do any and others I’ll do two. So, how do you make over $1k a day without a new blog post? This isn’t to say that revenue isn’t generated on a daily basis from blog posts, but huge spikes of revenue come from my email list. Heres the deal.. in early 2016, I started to create FREE stock photography and have since grown an email list of over 18,000. I go in great detail about my history and how I started here. So, even though I may have needed blog posts, in the beginning, to help build that email list, I don’t always need blog posts to bring in revenue. That’s because I have an existing list of subscribers that I am already actively helping with tips and freebies in their inbox. Being able to email that large group of people is what makes large revenue days possible. Grow an authentic email list of interested and relevant subscribers and you’ll be able to do it too. For a few years now, I’ve seen that this strategy to make income from your email list is a repeatable process and can be predictable.. as long as I’m authentic. I don’t just sell my photos, courses, or products. I try to do my best by sharing my passion projects and to only truly help those who seek what I do. So, before you go off thinking that email is the key to mega money, be sure you’re doing it for the right reasons. You’ve got to absolutely match your passions with a goal to build a long term business. Otherwise, any short term success seen from email marketing is just a flash in the pan when you don’t have passion. It’s common practice that when even thinking about starting a blog, you feel that putting up a website and writing some blog posts is as simple as it gets. But, getting your family and friends to read a few blog posts is far from making income or creating a business out of your blog. 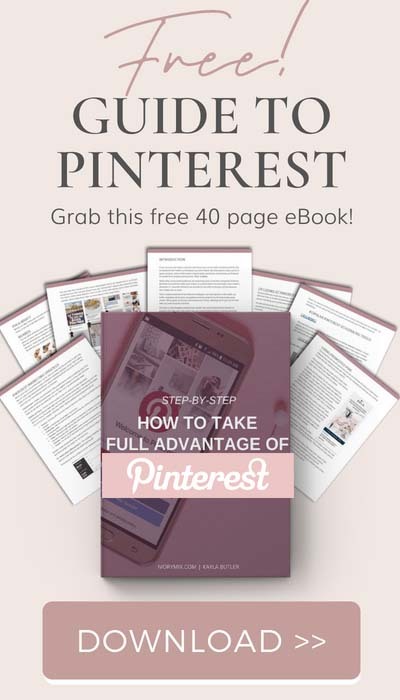 It’s true that you can get traffic from Pinterest and other platforms to help you gain readership of your blog. However, it’s a lot more difficult to predict your readership when it hinges on another platform’s algorithms. I’ve had blog posts go viral that, although monetized through affiliate links, hasn’t directly earned me more than a few hundred dollars on their own. But, when you count how many subscribers I’ve received from those viral blog posts, and consider the conversion rate that I receive from my email list, you might be surprised that most of my revenue would be directly related to the growth of my email list and subscribers that I’ve gained from opt-in forms placed in and around the blog posts. Instead of hoping that your readers will click on your affiliate links or product links, take the time to add a lead generation form that offers your readers something you’ve made that is related to the content that is free, in exchange for their email. 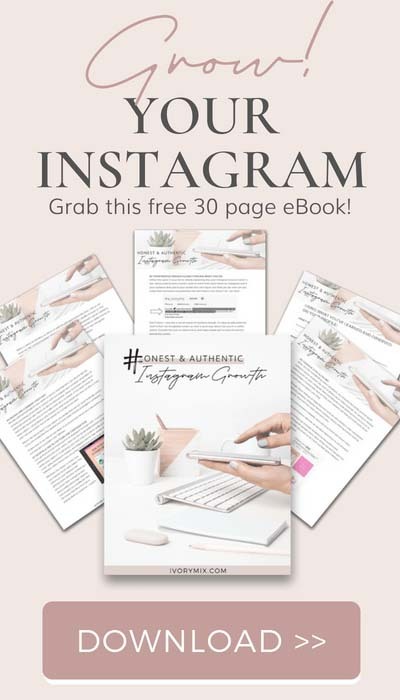 This way you can provide immediate upgraded value to your readers with your unique freebie, and also send them a follow-up message that includes more information on the topic, and eventually promote those links to your affiliate products or products you create and sell. Click here to sign up for a free Complete Guide to Email Marketing that shares some best practices, advice, and some advanced strategies are now compiled into a free book just for you. This strategy allows you to turn lukewarm leads into raving fans and customers. In online business, recurring revenue is not a new concept. For instance, I have a membership site where subscribers sign up to receive unlimited stock photo downloads for a fixed rate every 2 months. 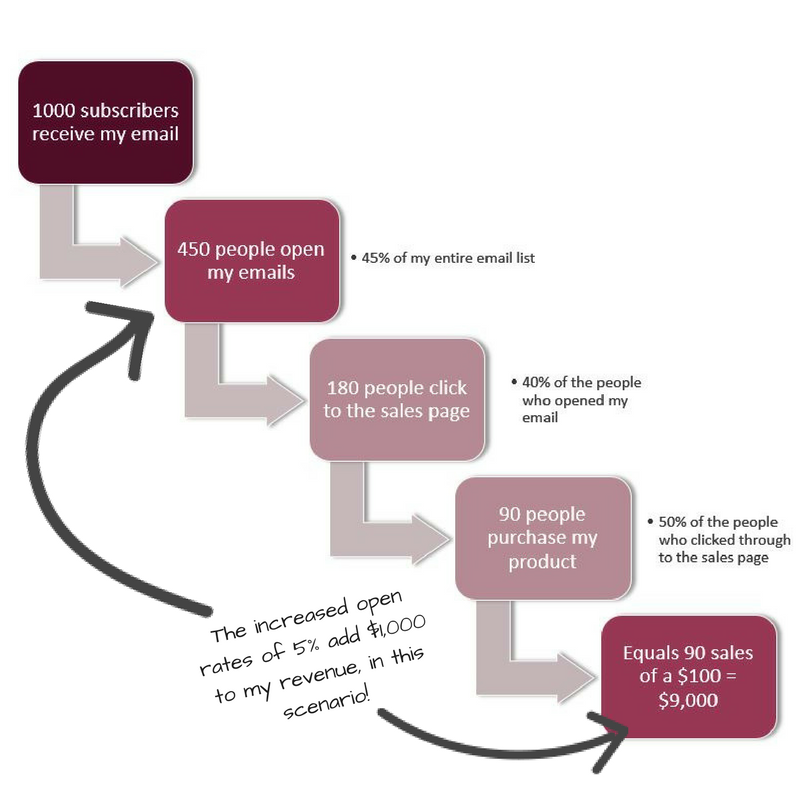 This business model is what allows me to run an online business and blog full-time. But, I wouldn’t be able to do any of this without my email list of subscribers who receive a stock photos for free every month. The reason I couldn’t have my paying members without having my free members is because of this simple fact: An email list is a form of recurring revenue for your business. The value is only as great as how well you utilize that undivided attention. "An email list is a form of recurring revenue for your business. The value is only as great as how well you utilize that undivided attention"
So, when I want to run a promotion to sell my upgraded stock photo membership, I can email my free suscribers and get them excited about the added benefits they would receive by joining. Every time I email my subscribers a link to a new blog post or a landing page, I can predict, with a large amount of accuracy, how many clicks and sales I may generate. This is the difference between renting your audience (like getting readers from social media) versus owning your audience (which is having an email list). Add your new lead generation form to all of your blog posts and landing pages. Preferably in 3 key locations. One at the top of the page, one in the middle(maybe a side bar) and one at the bottom. You’ll quickly find out that by increasing your number of subscribers from every page and blog post, you’ll also be increasing your future traffic to your website and your income too. Generating sales of your digital products from your email list, or gaining a predictable number of clicks to your blog or landing page, is directly dependent on how well you develop your subject line, email content, call-to-action, and subsequently your landing page content and offers. It’s difficult to get your audience to open an email if you don’t have a somewhat catchy and compelling subject line. Therefore, it’s difficult to make income from your email list if you won’t without a subject line that gets you clicks. So, when creating emails for promotions or to get traffic to your site, you must have great content and know that your subject line will at least get them to open the email. Once you get them to open, your job is half done. But, don’t neglect the content. Your email content needs to be just as shareworthy and relevant to your audience as your blog contnet. This can help you get the clicks, then ultimately the blog post or landing page reads, and hopefully get you the sales. If you can’t get them to open and email, then you won’t get them to read it, and you won’t get the sales. When writing your next blog post or landing page, try to remember how the title might look in the subject line of an email. Write as many versions of that title as possible and look back at past emails that performed well for you, or send a test email to a close family member or friend to see if they open it ( just put "this was a test to see if you'd open it" inside of the email 🙂 ) Also, don’t be shy from using similar email subject lines that have worked well before. Using A/B testing to increase your open rates can directly increase your revenue. I’m about to use fictitious numbers for the sake of easy math. THe number’s used below are simply to help get a point across. Your numbers will vary. 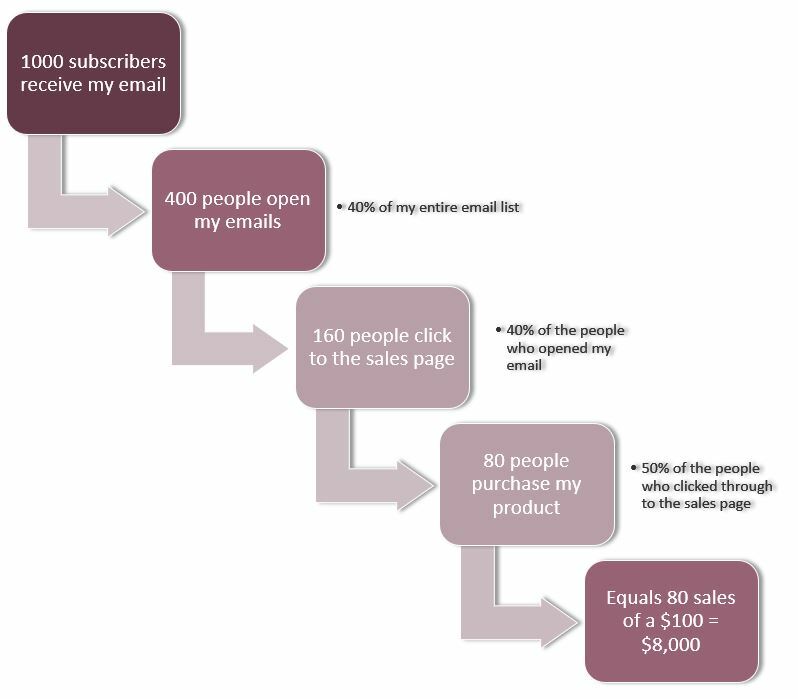 Let’s say I have an email list of 1000 subscribers, and based on my last few emails, I know that 40% (or 400 subscribers) will open my emails on average. I also know that based previous promotions, I can convert 40% into clicks (this equals 160 people clicking) to my sales page. Now, let’s say that I have a great landing page and can convert 50% of those clicks into actual sales. 50% of 160 people = 80 sales. You can see how that might look in the chart below. So, knowing this, it’s safe to say that if I aim to improve my open rates by 5%, then my revenue would increase. Hopefully email open rates and your email list is starting to sound a bit more important? Even though this is a pretend scenario it’s really not that far off base. You can see that with some testing and practice of your content and subject lines, email lists can be leaps and bounds more predictable for driving traffic and sales, when you track what you’re doing, as compared to simply writing a blog post and sharing it on social media. I fear that too often, new bloggers are unwilling to try new things out of fear that it won’t work, will be a waste of time or money, or that it makes them a bit vulnerable. But, if there were one thing I wish I had started much earlier in my blogging, it would have been growing my email list and perfecting my subject lines. But this is where A/B testing your subject line (and content, headlines, and landing pages) comes in to play and why Convert kit actually built an A/B testing feature for bloggers to use in their email broadcasts. Convert Kit recognized the importance for you as a blogger to test and improve your subject lines. 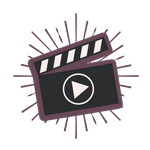 Use A/B testing on your manually created broadcasts and emails. But, when creating your next sequence of automated emails, go through your history of previous A/B subject line tests and consider reusing the same/similar subject lines that had the highest past open rates and clicks! (this makes smart use of A/B testing subject lines specifically for future use in your automated sequences). 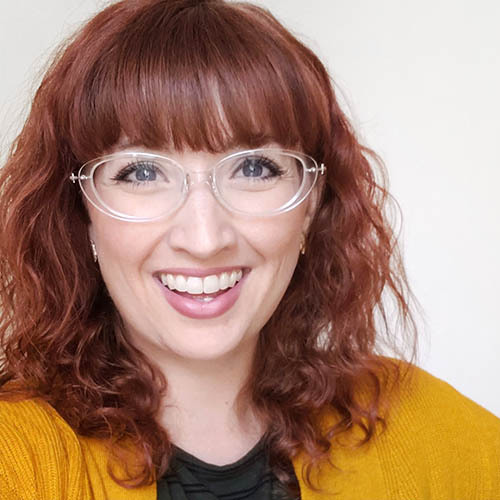 I'm hosting a LIVE workshop about email list building on Wednesday June 13th at 10 am PST | 1PM EST - you can save your seat right here. We will be giving access to $300 worth of free stuff on the workshop. One of the best ways to predict the income you can generate from your email list, is to have a clear and specific niche and then further segmenting your subscribers and audience from there. In order to grow my email list, I’ve created multiple opt-ins and free content. By doing so, I have found it much easier to increase my income if I targeted my emails to specific people based on the things they’ve subscribed to, or the links they click on in my emails. For example, a subscriber who joined my email list for stock photos, might not be interested in the Pinterest course I’m promoting. and the subscriber who joined my email list for the free Pinterest strategy ebook might not be interested in the stock photo membership I have and promote. That’s where different opt-in forms and segmented lists of subscribers come in handy. Easy segmentation of my audience is one of the reasons I moved from MailChimp to Convert Kit. Convert Kit allows you to create multiple forms and tag your audience appropriately. That way, when I go to send an email, I can send a very specific email to a specific list of people. Which increases my chances of conversion when I’m promoting a product, because I already know ahead of time that they’ve shown interest. The neat thing is, you can still promote the same products to all segments of your email list if you think that would work. But now, you can do it with different and specific messages to a particular part of your email list. 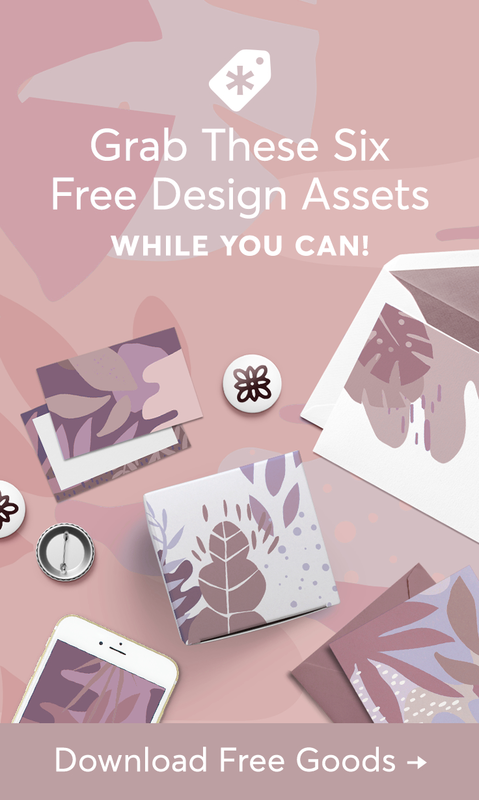 Create specific lead generation forms with unique opt-in incentives and freebies. Keep them organized using Convert Kit's rules and tags feature. Convert Kit rules allow you to set up a special tag for all subscribers who get added to a specific lead generation form. So, the next time you need to send an email to your list, you can search for the right tag and send it to the right people. When it comes to increasing your email list engagement, it’s important to create a plan based on the products and services you plan to promote. 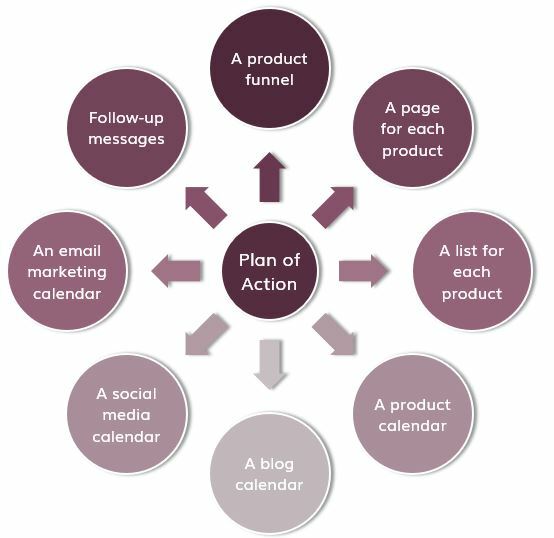 A good engagement strategy truly starts with your product funnel, which in turn helps you create your content and your various marketing calendars. See the diagram below for all it all goes together and just a few of the things you may need to add to your email marketing plan so that you can increase engagement for your email campaigns. If all your content that you create (blog posts, emails, social media, etc) fits together like a puzzle, designed to promote your products and services in a seamless way, it’ll be that much easier each time you get ready to launch a new product. Convert Kit’s visual automation tool is amazing for making sure that happens. And, because you’ll be emailing the right subscribers each time because you’ve tagged them using Convert Kit’s rules and tags, you’ll become way better at predicting clicks from emails (and hopefully be able to better predict your revenue). Did you get all the way down here and are still feeling completely lost? If you’re completely lost on how to create a specific list for your products and subscribers, that’s okay! Convert Kit is a great place to start because their product was made to be easier than MailChimp. It was made FOR bloggers. You can check out more about Convert Kit here and you should definitely sign up for their free Complete Guide to Email Marketing that shares some best practices, advice, and some advanced strategies are now compiled into a free book just for you. Thank you for this post! I haven’t quite got my email marketing down but I know that is SUPER important! One day at a time as I just launched a month ago! Doing everything myself I understand it will take awhile to work out the kinks!